So, what can be done to combat this? 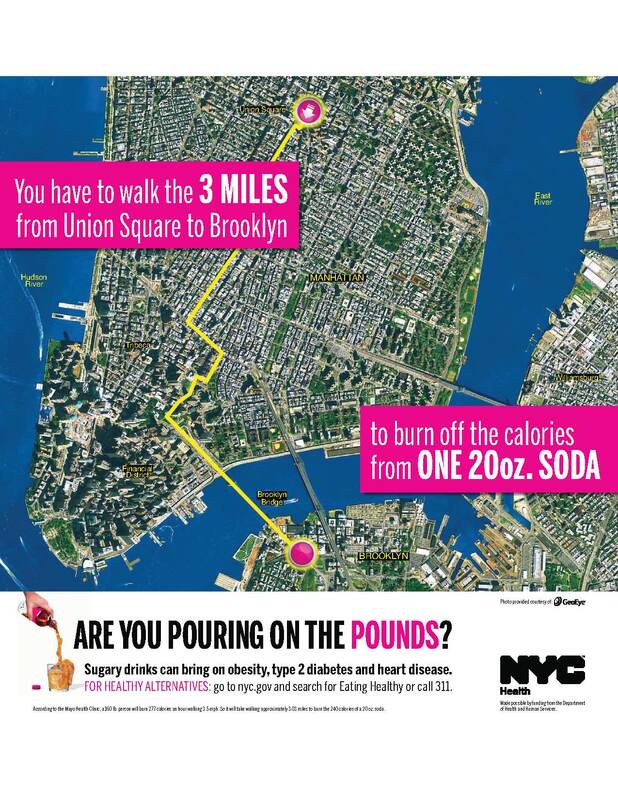 Over the past couple of years, two ideas have come from New York (one at the state level, one at the state level) that seek to curb consumption of these sugary beverages. This sounds like a good policy to me, but as I’ve written before, behind every good policy, there must be the political will to pass such a policy, and unfortunately, the soda tax was never enacted (Read more on why the soda tax failed). The name of this campaign is (you guessed it) “Pouring on the Pounds”. 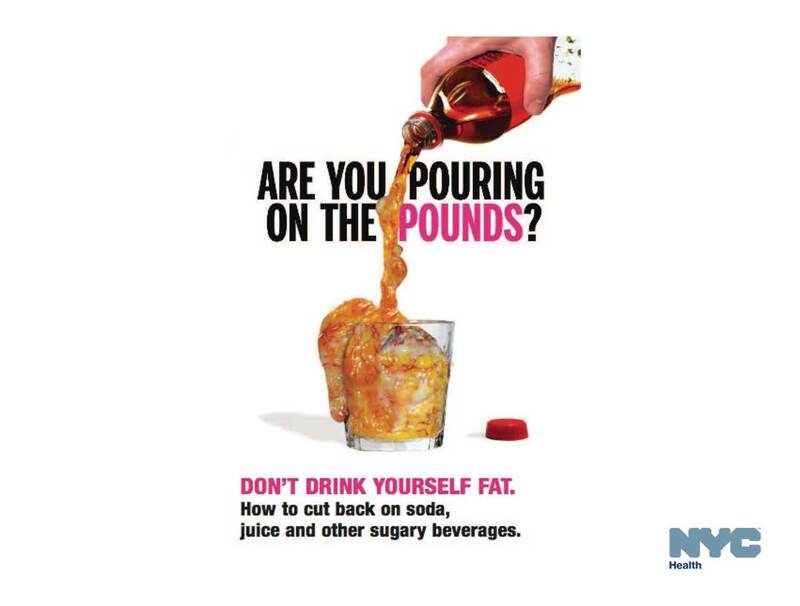 No word yet on how effective it has been at deterring New Yorkers from consuming sugary beverages, but I can tell you personally that after looking at these ads, I’ll be having water with my lunch thank you very much.